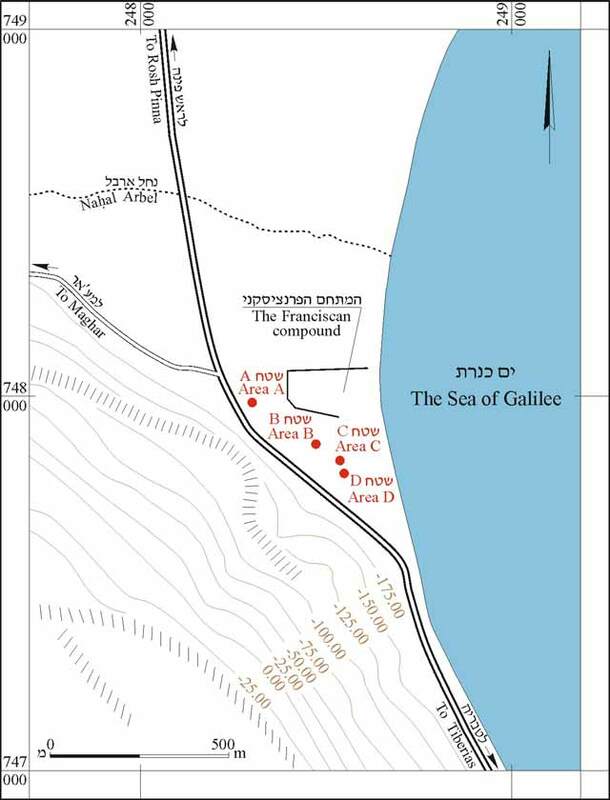 During January–February 2002 an excavation was conducted at Migdal (Recital Beach; Permit No. A-3582*; map ref. NIG 2486–8/7477–9; OIG 1986–8/2477–9). The excavation, on behalf of the Antiquities Authority and funded by Mr. M. Tal, was directed by M. Aviam and H. Abu-‘Uqsa, with the assistance of Y. Dangor and Y. Ya‘aqobi (administration), V. Essman and A. Hajian (surveying), N. Getzov (section drawings), H. Tahan (pottery drawing), H. Smithline (photography), E. Altmark (metallurgical laboratory), D. Syon (numismatics), Y. Gorin-Rosen (glass) and D. Avshalom-Gorni and E.J. Stern (pottery reading). 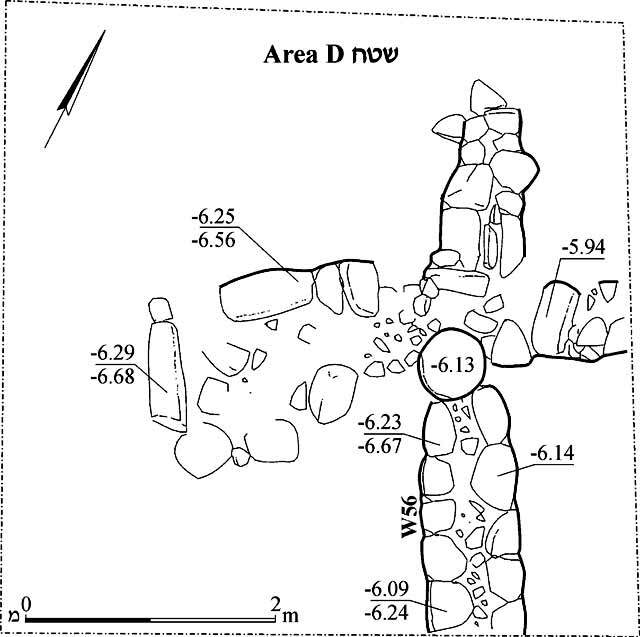 Two excavation areas (C, D) were opened c. 40 m south of Area B, which had been excavated in 1992 (Fig. 1; ‘Atiqot 42). 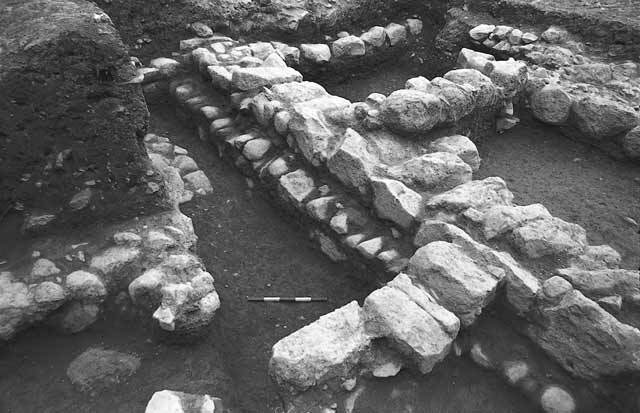 Four strata were discerned in Area C, mainly dating to the Roman and Crusader periods. The two strata in Area D spanned the time from the middle ages to the Ottoman period. Stratum IV. One square was opened (c. 5 × 10 m). A large wall (W11), whose top course was built of roughly hewn basalt blocks (0.26 ×0.65 m; 0.30 × 0.45 m) and the lower courses consisted of roughly hewn limestone and basalt stones, was discovered. The wall was exposed to a depth of 1.7 m, not reaching its bottom. Next to the wall was an accumulation of dark brown soil that included gravel from the Sea of Galilee and worn potsherds. The ceramic finds included the rim of a jug and a handle of a pithos, both of the Galilee Coarse Ware (GCW), dating to the Hellenistic period (Fig. 3:1, 2), as well as fragments of pottery vessels from the first century CE, among them cooking pots (Fig. 3: 3–5). The rest of the finds included the rim of a molded ‘linear cut’ glass bowl decorated with a horizontal trail on the interior and dating to the Early Roman period and two coins, one minted in Jerusalem during the reign of Herod and the other––later. Stratum III was the principal layer at the site. It comprised walls (W11 second phase, W16–21, W23), which were built of roughly hewn basalt and limestone blocks (0.2–0.3 × 0.3–0.4 × 0.4–0.6 m). On the western side, below the upper course of W11, a wall that ran the entire length of the W11 was exposed (Fig. 4). It was impossible to determine precisely whether this was a foundation course or an earlier wall. It seems that W23, which abutted W11, should also be attributed to this layer, as well as Walls 17–20, only the tops of which were exposed. 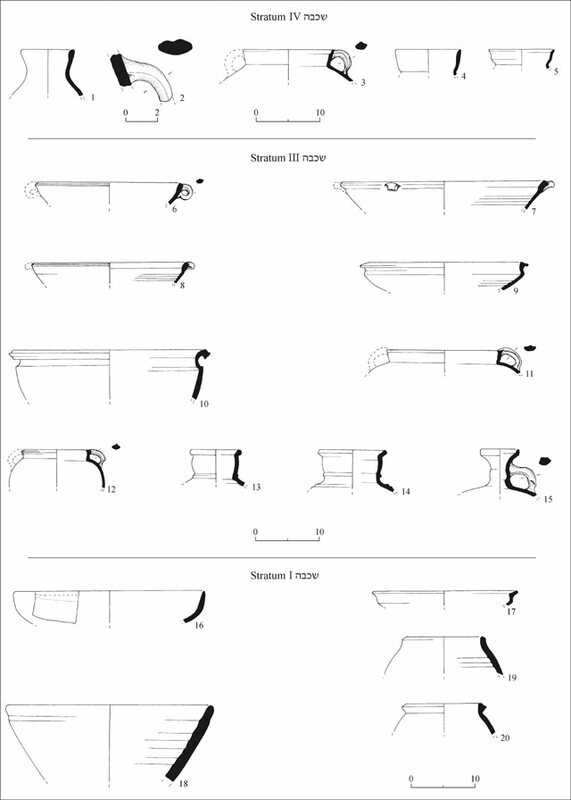 The ceramic finds included Kefar Hananya-type vessels, such as Galilean bowls (Fig. 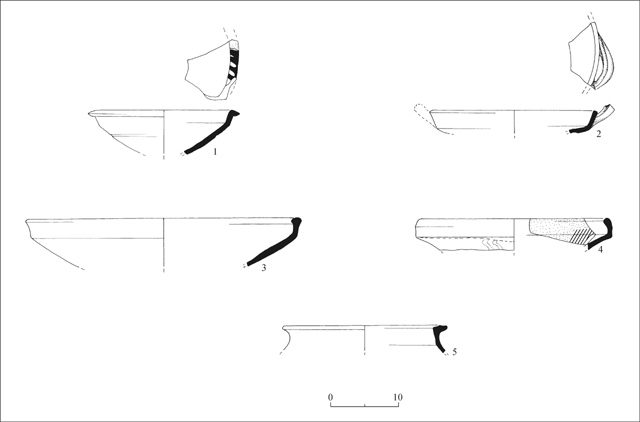 3:6–9), cooking pots (Fig. 3:11, 12) and jugs (Fig. 3:15), as well as Sihin vessels, including kraters (Fig. 3:10) and jars (Fig. 3:13, 14). The vessels were dated to the Roman period (second–the middle of the fourth centuries CE at the latest). 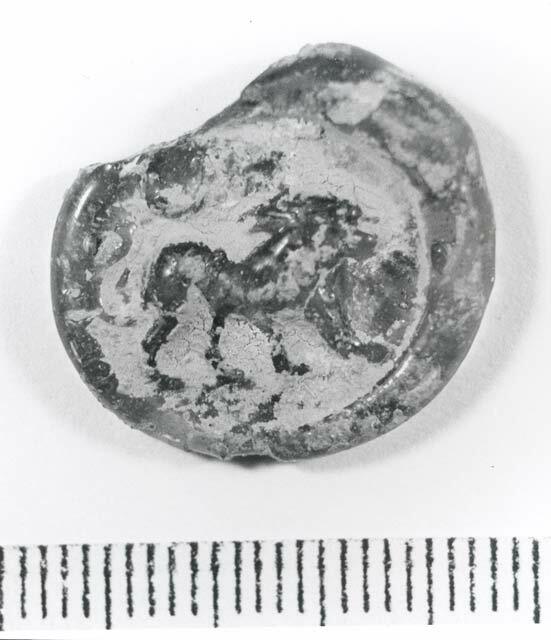 A special find was a brownish-green glass pendant impressed with the image of a lion with a raised tail (Fig. 5), dating to the Late Roman period. Stratum II. A segment of a wall (W13) and a few pottery fragments from the Byzantine period were discovered in this layer, as well as a coin dating to the beginning of the Byzantine period (beginning of the fifth century CE). Stratum I. 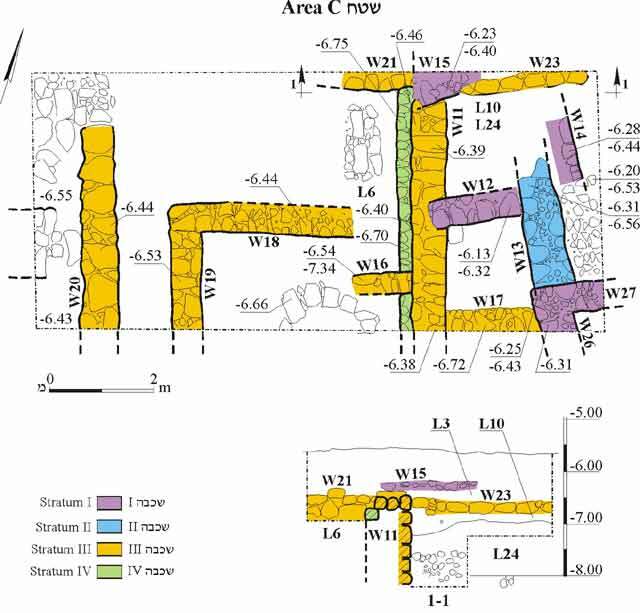 Sections of walls (W14, W15, W26, W27; size of stones 0.15–0.30 × 0.15–0.30 × 0.20–0.25 m) preserved a single course high were uncovered. Only the exterior of W14 and W15, which were built of roughly hewn basalt and limestone blocks, was exposed. Wall 26 and W27 formed the corner of a building and were constructed from two rows of basalt and limestone of different sizes. Amongst the outstanding ceramic remains were ‘Aegean Ware’ bowls (beginning of the thirteenth century CE; Fig. 3:16), locally produced glazed bowls (Fig. 3:17), vessels used in the sugar industry, mostly sugar pots (Fig. 3:18) and molasses jars (Fig. 3:19, 20), as well as slip-painted glazed bowls, cooking pots, cooking bowls and handmade vessels with color-painted decoration. The ceramic finds were attributed to the Crusader period (end of the twelfth–beginning of the thirteenth centuries CE). Stratum II. One square was opened, revealing a wall (W56) that was preserved a single course high. The wall was built of two rows of roughly hewn basalt blocks (0.20 × 0.25–0.40 × 0.30–0.45 m) with small fieldstones fitted between them. The ceramic finds included vessels dating from the end of the twelfth–beginning of the thirteenth century CE, among them imported ‘Aegean Ware’ glazed bowls (Fig. 7:1) and cooking bowls (Fig. 7:2). 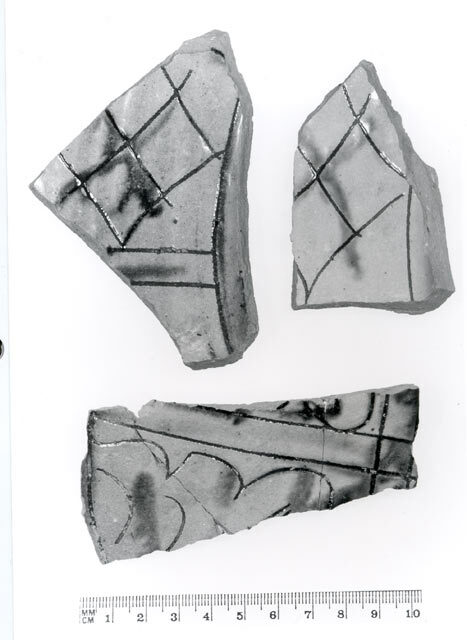 Sugar pots, molasses jars and glazed bowls dating to the eleventh century CE were encountered as well. Stratum I. This layer consisted of soil accumulations and fragments of pottery vessels from the Mamluk period, including green-glazed monochrome bowls (Fig. 7:3), bowls that were partially slipped and glazed yellow (Fig. 7:4), cooking pots (Fig. 7:5), glazed cooking bowls, frit ware, glazed bowls imported from Italy (Fig. 8), slip-painted glazed bowls and handmade vessels with color-painted decoration. Numerous fragments of pottery vessels were discovered above surface, dating from the Mamluk period until the early Ottoman period. This latter period was unknown at Migdal until now; it was completely absent in Area A, excavated in 1991 and had a meager presence in Area B, excavated in 1992. 2. Area C, plan and section. 4. Area C, wall 11 and the lower wall alongside it, looking northeast. 5. Area C, glass medallion. 8. Area D, imported bowls from Italy.